Motiv Power Systems (Motiv), a leading provider of all-electric medium duty fleet chassis, has begun deliveries of Ford E-450 based all-electric step vans to the United States Postal Service(USPS). As compared to their combustion engine-powered counterparts, Motiv’s all-electric EPIC chassis equipped mail delivery vans are expected to save fuel and maintenance costs resulting in an overall reduction of total cost of ownership. The USPS’ acquisition of the Motiv chassis-powered vans was developed as a partnership by CALSTART and the San Joaquin Clean Transportation Center and funded through a California Air Resources Board (CARB) award to the San Joaquin Air Quality Control. It represents a historic project. The funds are meant to provide an incentive to Californian fleets to adopt the cleanest emerging technologies and continue to advance California’s Air Quality and Climate goals. 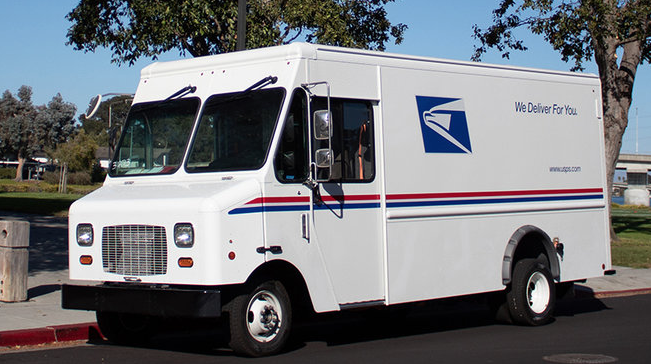 The USPS’ acquisition of the vans was made possible by the California Climate Investments, a statewide program that puts billions of cap-and-trade dollars to work reducing greenhouse gas emissions, strengthening the economy and improving public health and the environment, particularly in disadvantaged communities. The cap-and-trade program also creates a financial incentive for industries to invest in clean technologies and develop innovative ways to reduce pollution. California Climate Investment projects include affordable housing, renewable energy, public transportation, zero-emission vehicles, environmental restoration, more sustainable agriculture, recycling and much more. At least 35 percent of these investments are made in disadvantaged and low-income communities. More information on this program can be found at California Climate Investments. All parties involved in building, funding, and deploying this first wave of Motiv-powered USPS vans are excited about working together to bring this initial order to fruition.